Although I'm not one of those girls that goes crazy for chocolate (give me a loaf of bread), there is something about the craft of creating the stuff that I just adore. The glossiness of melted chocolate, the smell and going into premium chocolate shops with the foiled packaging and sumptuous displays is always a tactile, palpitation-inducing joy. 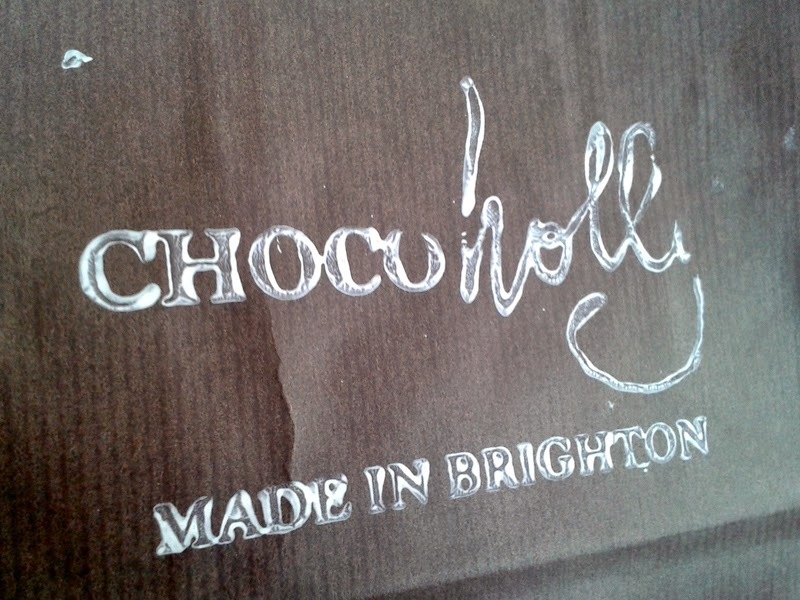 I think my visit to Chocoholly in Hove was the first chocolate workshop I've attended and was really good fun as well as informative. Chocolate isn't something I normally play around with much at home so just knowing a few of the basics of handling the stuff is always useful. 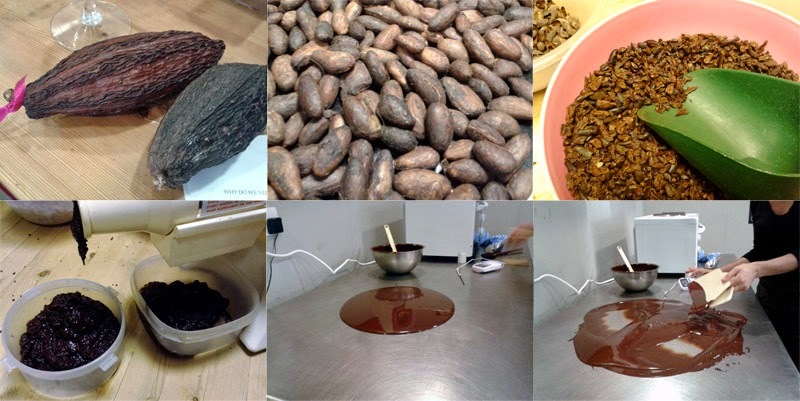 We were taken through the whole process from bean to bar. 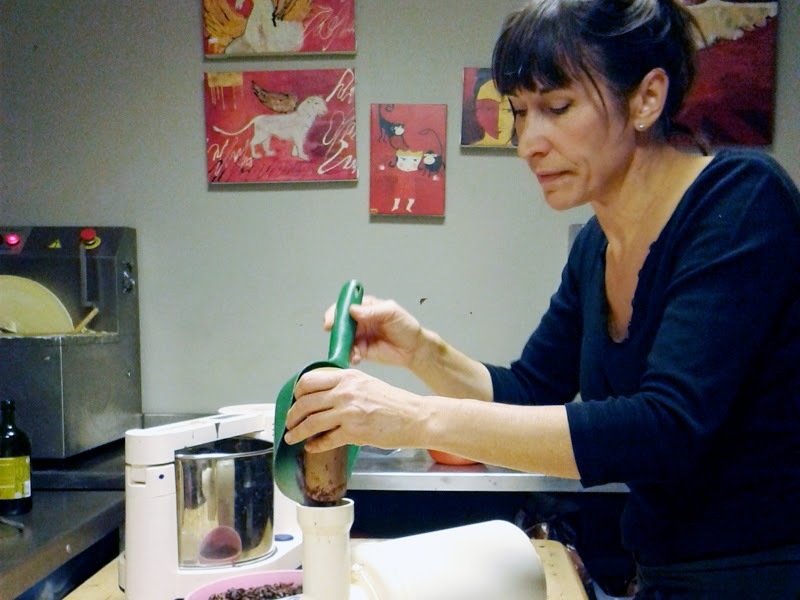 The bean varieties, the roasting, conching (grinding), tempering and moulding. There was just enough to keep it interesting throughout the demonstration, and then we were able to fill our own moulds and flavour them. We tasted both the roasted chocolate beans and cocoa nibs; a totally different taste experience without the usual sweetners of milk and sugar. And actually, chocolate in its raw state has an amazing amount of nutritional benefits and the intense cocoa hit means you would consume far less. So there you go, raw chocolate isn't just for the yogurt weavers amongst us. We each produced four bars that we could flavour ourselves. Needless to say, I was pretty chuffed with my bars! 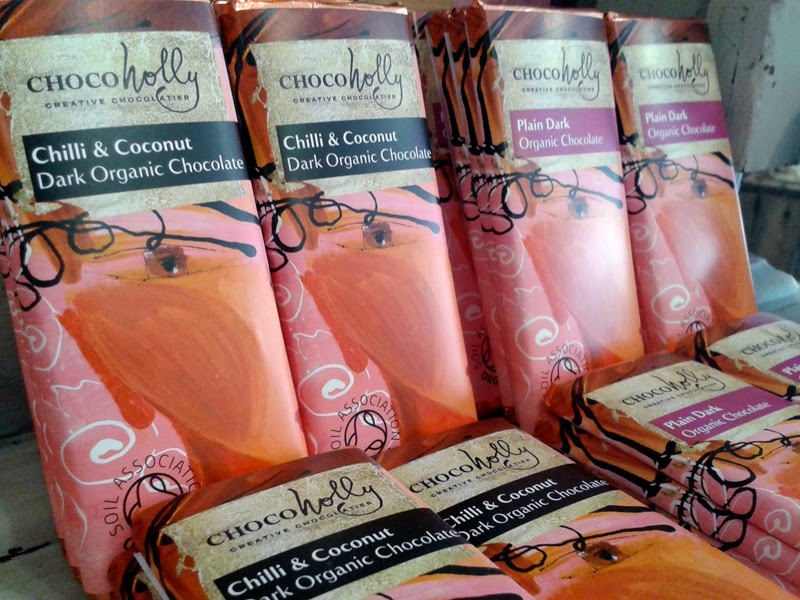 The quality of Chocoholly products is exceptional. Being produced from fine raw products in such small quantities, the chocolates are a real treat. 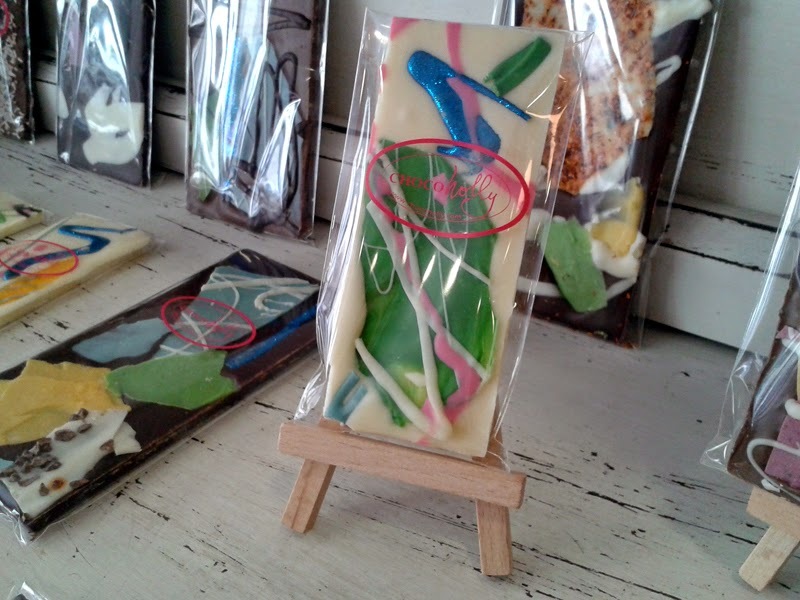 I love the Pollock inspired art bars, but there are plain and flavoured solid bars and truffles available too. It's a good place to pick up Vegan friendly products too. 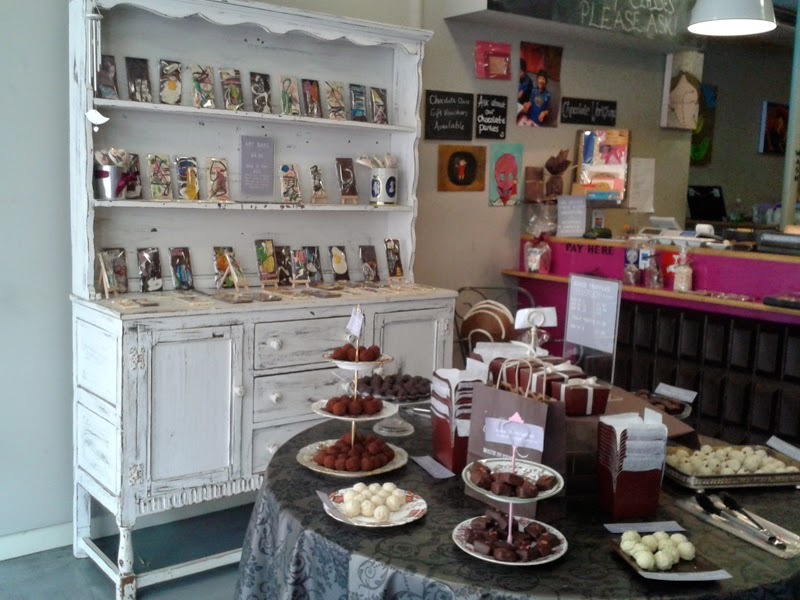 We sampled A LOT and everything was rich and decadent, a far cry from commerical chocolate. 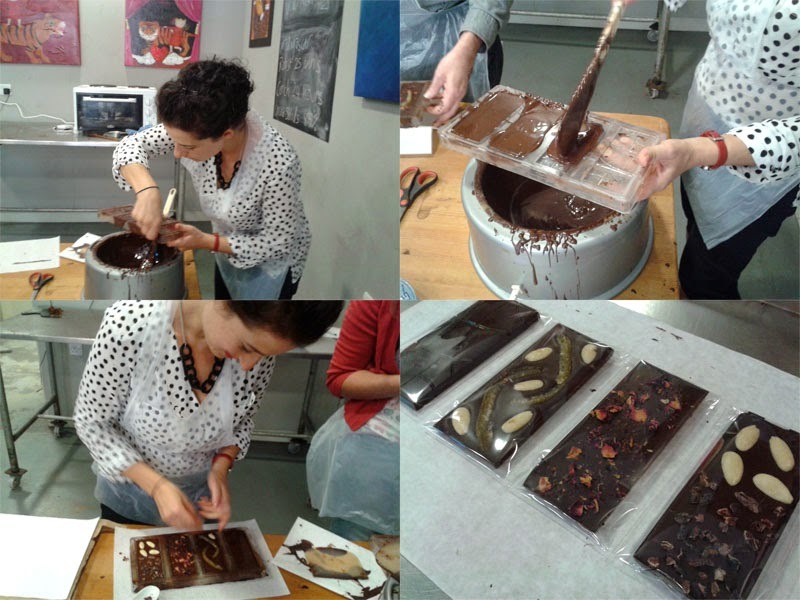 Chocoholly offer a number of different workshops for adults, children and groups. There is also a course for those wanting to hone in their chocolate skills or looking to go into the industry. 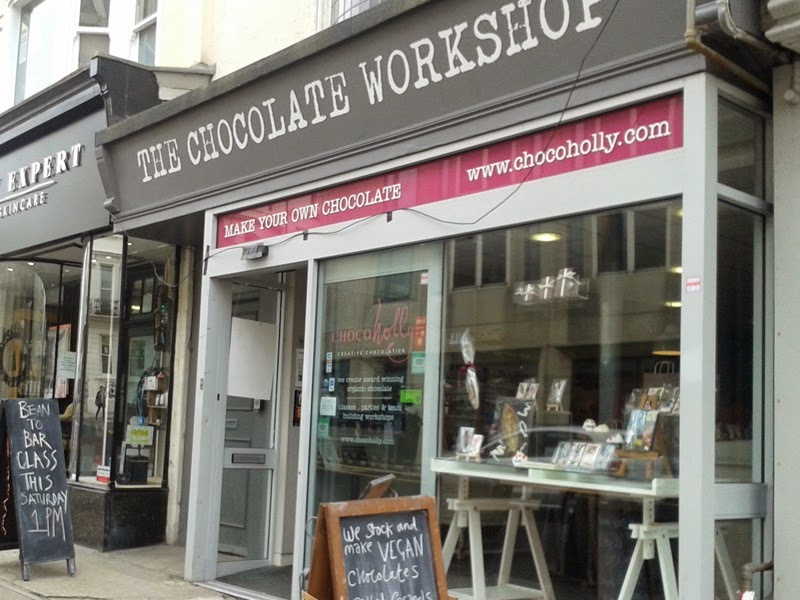 To book classes or to buy the products visit: www.chocoholly.com, 27 Western Rd, Hove BN3 1AF. I was a guest of Chocoholly.